June 14, 2018 — We recently held our annual Scholarship Luncheon where we awarded $630,000 in scholarships to almost 300 students. Every year at this event, we emphasize to the students that these awards are made possible by the generosity of others and that we hope they will one day be in a position to repay that generosity by also giving to others. A few days after the luncheon, we were contacted by a past scholarship recipient who apparently remembered that message from almost a decade before. When twin sisters Molly and Nadine were preparing to graduate from Governor Mifflin in 2009, they wanted to go to college but were afraid that they couldn’t afford it. 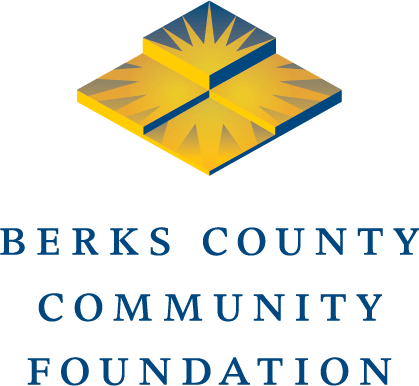 In 2009, the sisters each received a $5,000 scholarship from the Russell L. Hiller Charitable Trust of Berks County Community Foundation. The Hiller Trust annually awards scholarships to Governor Mifflin graduates. The trust was established from the estate of U.S. Bankruptcy Judge Russell L. Hiller, a Shillington resident who valued the pursuit of education. “I’ve always felt strongly that education is important,” Molly said during a recent conversation. Receiving the scholarships was not only a financial help for the twins, but the awards also reinforced to them that they were headed in the right direction in their lives. “Applying for and receiving the scholarships made us realize we were good students and we deserved to be in school,” Molly said. From 2010 to 2012, Molly received another $6,000 in scholarships from the Community General Hospital Foundation/June A. Roedel Healthcare Scholarship Fund of Berks County Community Foundation. Nadine was awarded similar amounts from the fund, which provides financial support to residents of Berks County who pursue education to begin careers in healthcare. Molly graduated from Marywood University in 2013 with a degree in nursing. She now works in a hospital in Portland, Ore. Her sister has had similar success. Not long ago, Molly finished paying off her student loans and wanted to do something with the extra cash she had on hand each month. She contacted us to see how she could give back, and she settled on making a monthly donation to the Community General Hospital Foundation/June A. Roedel Healthcare Scholarship Fund. “I think it’s important for people to realize that, even if you can’t create a scholarship yourself or donate thousands of dollars, any small amount you can give can support a scholarship for others,” Molly said. Well said, Molly, and well done. You can find all of the funds and scholarships that we have by downloading our Funds book here and, if you’re able and inclined, you can set up a donation to one of those funds here.